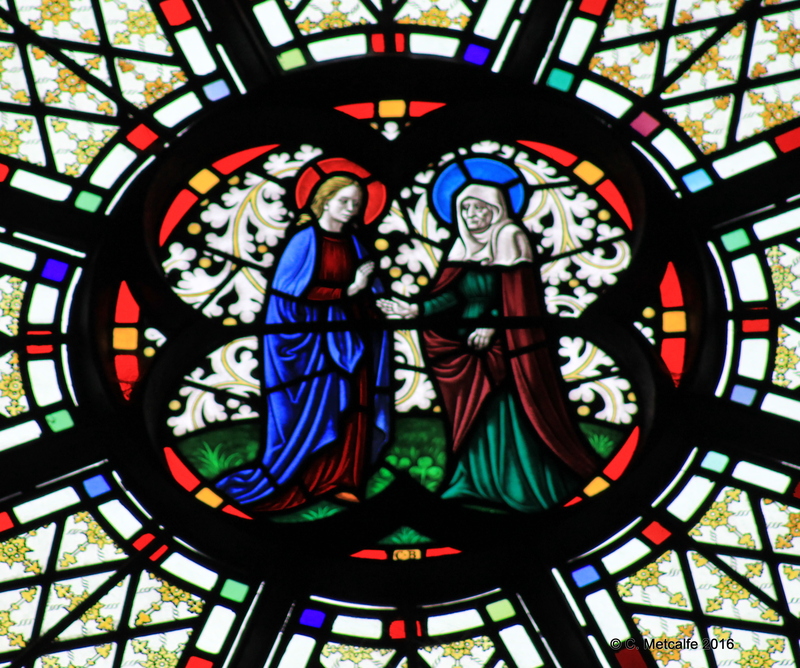 There are some beautiful images of Mother figures in St Swithun’s church. 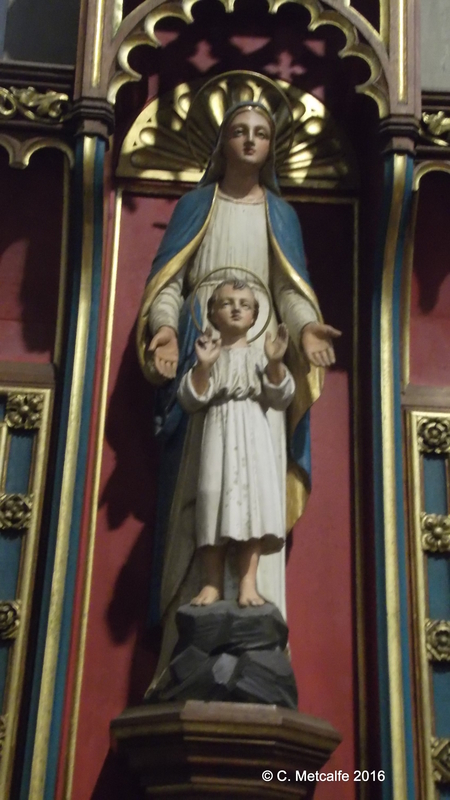 There is one statue of the Virgin and Child in the Chapel of the Nativity. The five round windows in the clerestory on the south side of the church all contain images of the Virgin Mary: The Annunciation, the Visitation, when Mary and Elizabeth met, both unexpectedly pregnant, so we have two mothers here; the Nativity; Epiphany and the Presentation of the Baby Jesus at the Temple. In the Chapel of the Nativity window there are pictures of the Nativity and Epiphany, with Mary and Joseph. On the right hand side of the church, there is the window depicting the Wedding at Cana. 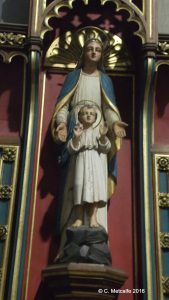 Mary is the kneeling figure on the left, with her head and neck covered by white material, in a medieval style. 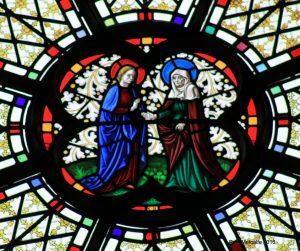 In the East window up at the main altar, there is a picture representing Mary at the foot of the Cross, at the end of her Son’s earthly life. Over the south door, from the High Street, is the window with the picture of St Cuthman wheeling his mother in a cart. According to legend, Cuthman took his mother east, from the west of England, towards the rising sun, until the willow straps or ‘withies’, harnessing him to the cart carrying his mother, broke. This happened at Steyning, where he founded the church.